Christmas baking is probably my favourite thing during the festive season. Each year here in Greece, every home bakes an array of delicious Christmas sweets. Kourabiedes and melomakarona are absolute musts and everybody will make at least one of these traditional delicacies. Of course I have joined in the holiday baking frenzy and you may have already seen snippets of my cooking over the past few days. I love kourabiedes and melomakarona, the two traditional Christmas delights fiercely compete with each other: crumbly vs sticky, almonds vs walnuts, icing sugar or honey? If only all dilemmas were that delicious!Well, today I’ve chosen kourabiedes. This recipe is from my Aunt Litsa, a master baker, who invited me over for a coffee and baking session. The traditional recipes call for lye, ash from wood diluted in rainwater. But seeing as homemade lye is a little hard to come by these days, we decided to share a recipe adjusted to modern standards. Thanks so much Litsa! It’s definitely more fun cooking with company, and Christmas baking in Greece is a great excuse to share the kitchen with family. Put the butter and caster sugar in your mixer and mix for 10 minutes. Meanwhile, place your almonds in the oven to roast at 180oC. They will need approximately 8 to 10 minutes to get a golden colour. You can then grind them in chunky pieces. 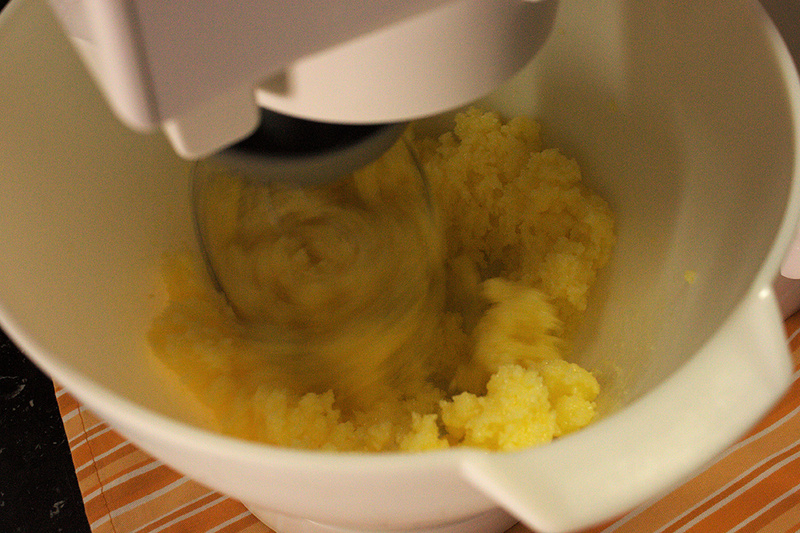 Once the butter and sugar mix is nice and fluffy start adding the egg yolks, one by one. Then add the nutmeg and mastic liqueur. If you don’t have mastic liqueur fear not, cognac will do just fine. 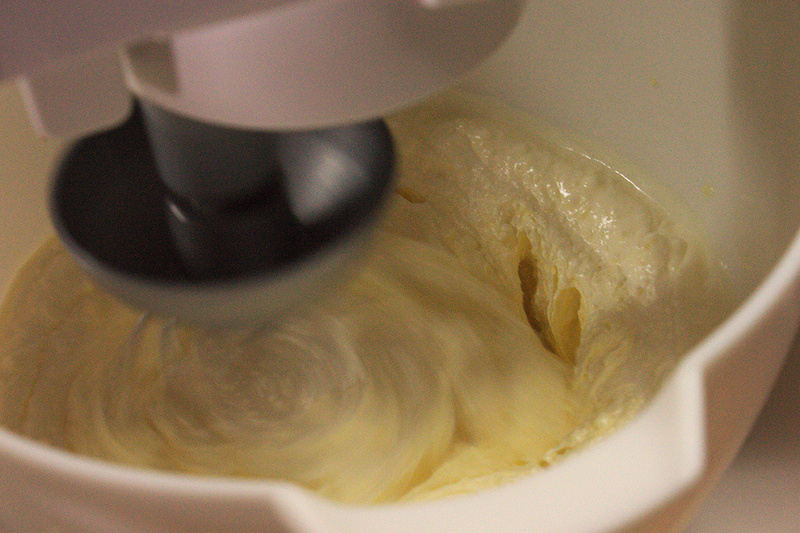 Take the butter off the mixer and start adding the sieved flour by hand, again slowly to make sure it gets absorbed. Your dough should be crumbly. Towards the end add your almonds. When you’re done, you are ready to shape! Preheat your oven at 170oC and bake your cookies on baking parchment for 20-25 minutes. Once the cookies cool down you can roll them in icing sugar. Thank you so much Litsa! hello! Just wanted to say we tried this recipe the other day and the y turned out brilliantly, thanks! Hi Alex, I am glad you enjoyed! Kourabiedes are truly a delight! Hi Eugenia, they certainly are a favorite here! Your Greek USA Friend, Cheryl.